Q: Now that my son is two and his language is bursting, I have started getting “Mama, I don’t like” to some foods that he tries or are on his plate — even items he’s eaten before. Should I remind him that he likes the food? How do I respond? A: When kids make it their business to inform the family — or anyone for that matter — which foods they don’t like, it can be frustrating for parents. What you want to avoid is trying to reason with your child like the example below. Child: I don’t like pears! Parent: Yes you do, you just ate them last week. 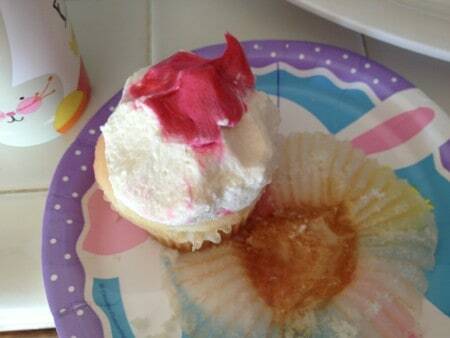 Child: No I didn’t. I HATE pears! Parent: Jack, you’ve eaten pears since you were a baby! Child: Pears are gross, pears are gross (singing)! So I follow the advice from Ellyn Satter and use this as an opportunity to teach kids the appropriate way to act when eating with others. 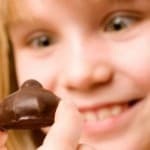 When your son says “I don’t like X,” remind him to simply say no thank you– and that it’s not polite to complain about food that others at the table are eating and enjoying. 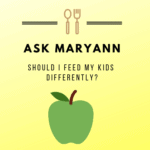 Ask Maryann: Should I Feed My Children Differently? 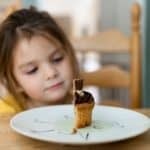 « Parents of Picky Eaters Unite: Is the One Bite Rule the Answer?